A gorgeous sunburst quilted maple top really sets this great sounding guitar apart from other dreadnoughts. 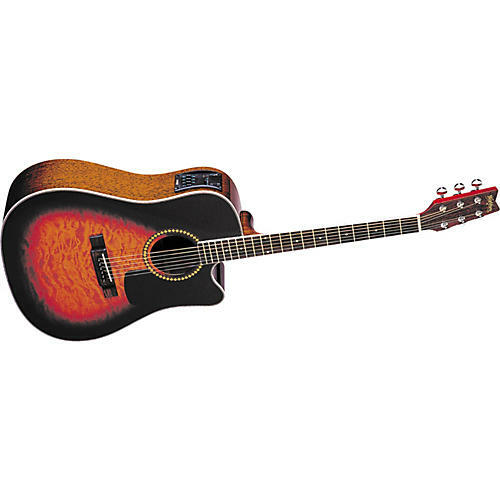 With its single cutaway and Equis Extra Preamp, the dreadnought Washburn D10CEQ acoustic-electric guitar has the sound and playability of a professional model. With its sunburst quilted top, it will steal the show.